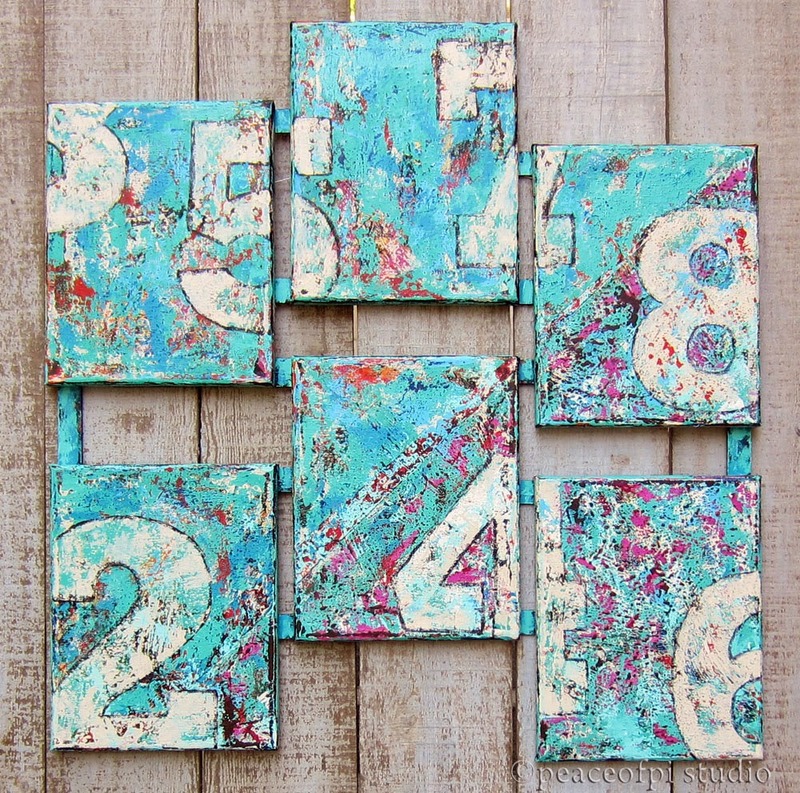 Numbers is a six piece painting in acrylic on canvas. The painting was created in layers with the multi-colored under paintings peeking through. The numbers themselves are boldly curved with strong straight serifs, highlighting the beauty of typography. Each individual canvas is 8 X 10 inches, with all six pieces permanently secured onto wood to create a single work. This large multi-painting is part of a continuing typography series inspired by vintage sign painting featuring numbers and letters. This Thread Art quilt is inspired by blue birds and jays. It features thread painting where threads replace paint or ink. to people you may never even dream of. As you move toward a dream, the dream moves toward you. It seems that the artistic personality has a certain contrariness to it. If you're conventional, then perhaps there's no impulse to create. Extremely fast delivery, and I absolutely love the ACEO. This is a masterful work of ART!Breathtakingly beautiful & nicely packaged. Another beautifully drawn & colored work of art. So beautifully packaged too. So unique. Adorable & Perfect! Thanks. Brilliant. A wonderful artist, and terrific vendor!!!!!! The artist was great to work with and I'm so happy with the finished product! too adorable for words. A+++++ Thank you!!! So tiny and so cute! The packaging was creative-love the cool tag. Thank you. LOVE the piece. It's hanging proudly on my wall right now. Thanks again! This looks great and was very well packaged and shipped. Thank you!! Lovely! Even better than expected! Great communication and fast shipping! Thanks so much! Just gorgeous! Great seller with fantastic communication. Well packed and fast shipping! Recommended! Thank you!! Beautifully finished piece of art. Thanks. Wonderful! Thank you so much. Fast too! These look great in my son's room! I need to send you a picture. Thanks again! This was a gift for my girlfriend who is a big fan of ducks. Thanks for something that she just loved, and is very unique at that. Excellent and highly recommended person to do business with! Very talented artist. The artwork is beautiful! Thank you. Beautiful and unique work. Arrived promptly. Thanks! Unusual and lovely - quick mailing and beautifully packaged too. My birdwatching friend will love these. Stunning! Love Them. Thanks. Fast shipping too! Came in excellent hand-made pachaging. It is a beautiful handmade piece...I love seeing it everyday! What wonderful creations! They look lovely in my bathroom and are a perfect match for the crow border. Thank you so much! Just amazing! Love the crow motif! Your designs are intriguing! Thank you! With your art, I turned my yellow unchangeable (renting) walls into something that looks intentional - and beautiful! Oh yes, and great service, very quick! Beautiful! I feel like my wall already has art on it. Beautiful cards - at least one will be framed for sure for me to keep! Fast shipment. Thanks so much. Lovely item and fast postage :) thank you! So fast, even from Canada to the States. Very cool cards. Such a wonderful seller--great communication, quick shipping and a fabulous product! Thank you so much! This came out so great! Better than I could have ever imagined it! peaceofpi studio by JoMo is licensed under a Creative Commons Attribution-NonCommercial-NoDerivs 3.0 Unported License.